Water Degasification with Membrane Contactors | Applied Membranes Inc.
AMI membrane contactor degasifier systems use Liqui-Cel® microporous hollow fiber membranes to remove gases from liquids. During typical operation, liquid flows over the shellside (outside) of the hollow fibers while a vacuum is applied to the lumenside (inside) of the fibers. The dissolved gas is forced through the membrane pores and is carried away by the vacuum pump. Membrane Contactors are used for degassing liquids around the world. They are widely used for O2 removal from water as well as CO2 removal from water. They have displaced the vacuum tower, forced draft deaerator, and oxygen scavengers around the world for over 20 years. AMI water degasifier systems use Liqui-Cel membrane contactors, leading gas transfer devices that have been used in many industries around the world for over 20 years. Carbon dioxide removal and deoxygenation are among the common applications. Capable of achieving <1ppm CO2 and <1ppb O2, AMI Water Degasifiers using Liqui-Cel membrane contactors provide significant benefits to industrial processes by removing gases from liquids. For example, carbon dioxide and oxygen removal can reduce the impact of corrosion on boilers and piping to protect captial investments and reduce operating costs. Removing these gases can also improve process efficiency and prevent negative impacts on production yields related to dissolved gases. 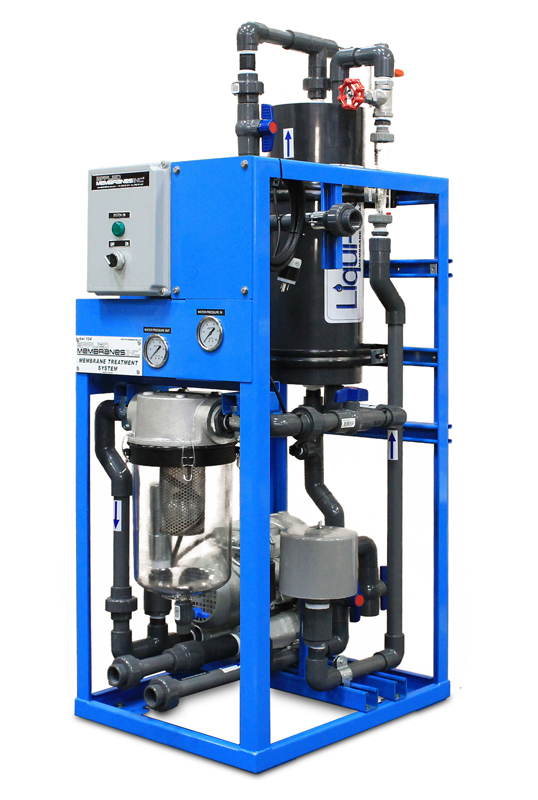 Because of their cleanliness and predictability, Water Degasifier systems using Liqui-Cel Membrane Contactors are the standard degassing technology installed in ultrapure water systems for the semiconductor, microelectronics and many other industries. Although other degassing technologies, such as vacuum towers and forced draft dearators have existed for many years, these older methods are being rapidly replaced by degasification systems using Liqui-Cel Membrane Contactors due to the smaller footprint, lower installation costs and the modular nature of the membrane contactor system. AMI water degasifiers use Liqui-Cel Membrane Contactors with a microporous hollow fiber membrane to remove gases from liquids. The hollow fiber is knitted into an array and wrapped around a center tube inside of the contacter housing. 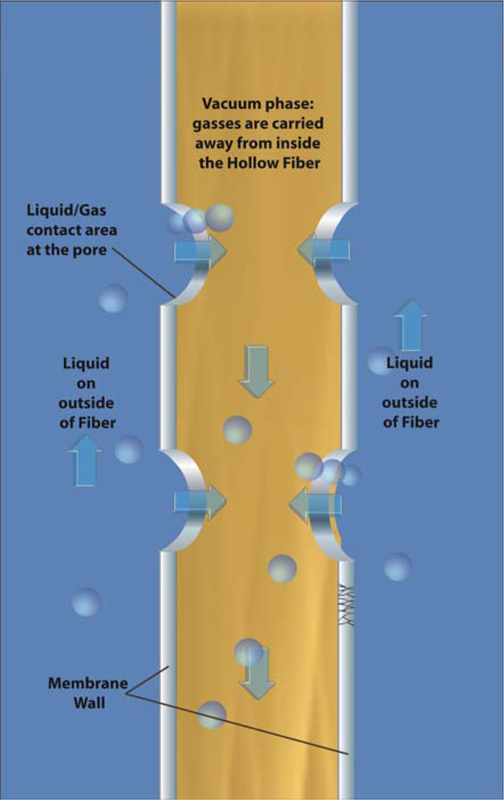 During typical operation, liquid flows over the shellside (outside) of the hollow fibers while a vacuum is applied to the lumenside (inside) of the fibers. Because the membrane is hydrophobic it acts as an inert support that allows direct contact between a gas and liquid phase without dispersion. Applying a higher pressure to the liquid stream relative to the gas stream creates the driving force for dissolved gas in the liquid to pass through the membrane pores. The gas is carried away by the vacuum pump. 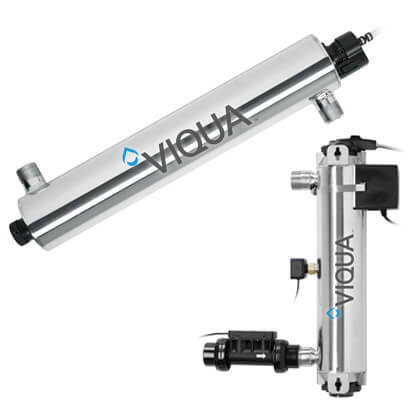 Non-dispersive characteristics allow the system to be operated over a wide range of flow rates. Simple operation means reduced instrumentation and maintenance costs. AMI membrane contactor degasifier systems use Liqui-Cel microporous hollow fiber membranes to remove gases from liquids.